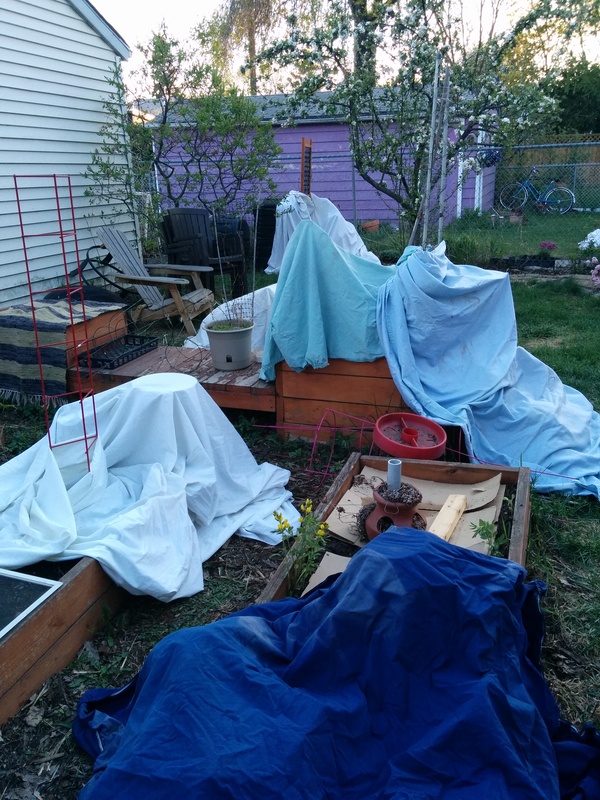 There’s a frost warning tonight, so I’m covering my plants tonight for what is hopefully the last time this spring. I thought last time might be the last time, but this time might really be the last time. I literally stripped the sheets off my bed to cover some of the fruit trees. It might seem like I’m joking, but I’m not. I mean, they were our least favourite sheets anyway. But they’re our favourite fruit trees.